Lacto-fermentation. No "canning" and better for you. Actually it is beginning to look a lot like that around here, but not fermented in the “I think I’ve had too many beer” way. It’s in a more healthy, delicious, “gourmet” way. you wear rubber gloves. Seriously. This week I’m putting on the push, and latex gloves, necessary to make gifts for everyone I want to give to this year. Today is an easy one. Rubbing jalapeno peppers. That’s an apt description. You need rubber gloves to do it, unless you have a tougher hide than me. I made a recipe similar to this last year and suffered for it. The same evening I put my jalapenos up I had quite significant “irritation” between my fingers. It even woke me up through the night. I had washed my hands several times after making them but to no avail. 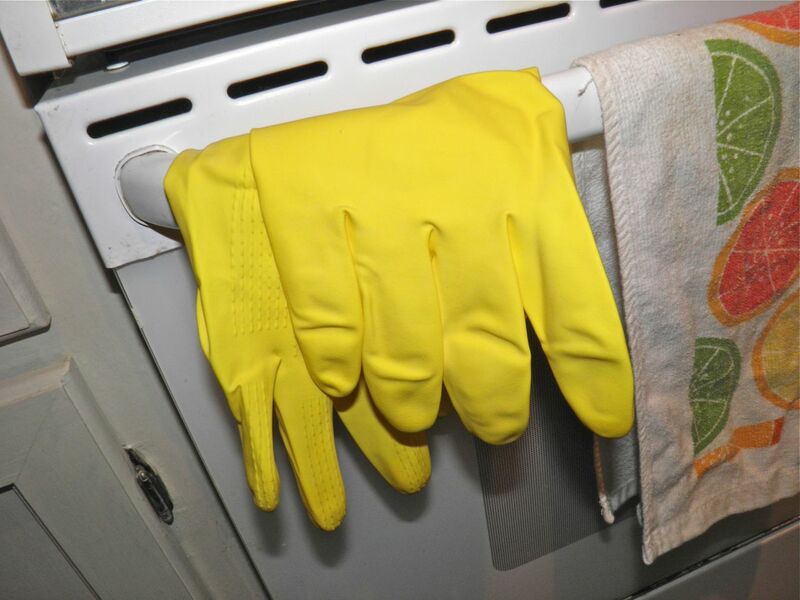 So this time, the rubber gloves were on the shopping list – and it's in my list of ingredients. Last year my brother-in-law, the recipient, said these were the best jalapenos he had ever had. High praise. He loves his jalapenos. The difference is in the rubbing. 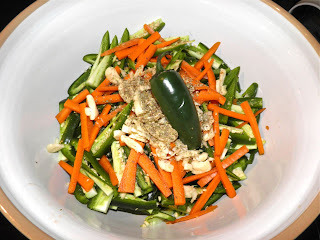 Why I’m rubbing jalapenos is because that’s the technique to make them lacto-fermented. 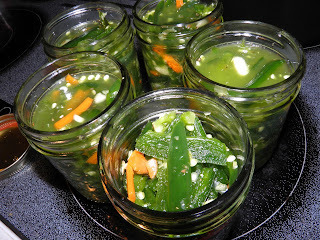 I’ve talked at great length about lacto-fermentation in other posts. It’s an ancient way of preserving with salt that requires no canning bath. The result will keep just on the shelf for ages. 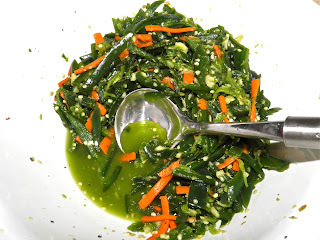 The fermentation process also changes the vegetables in many very desirable ways. 3. the lactic acid produced by the fermentation helps diabetics by boosting the secretions from the pancreas. 4. and they taste better than other preservation techniques. There’s many more, but aren’t even just those enough for you to think about lacto-fermentation? It’s also fun to do, believe it or not. Fermentation has been around for far longer than recorded history. 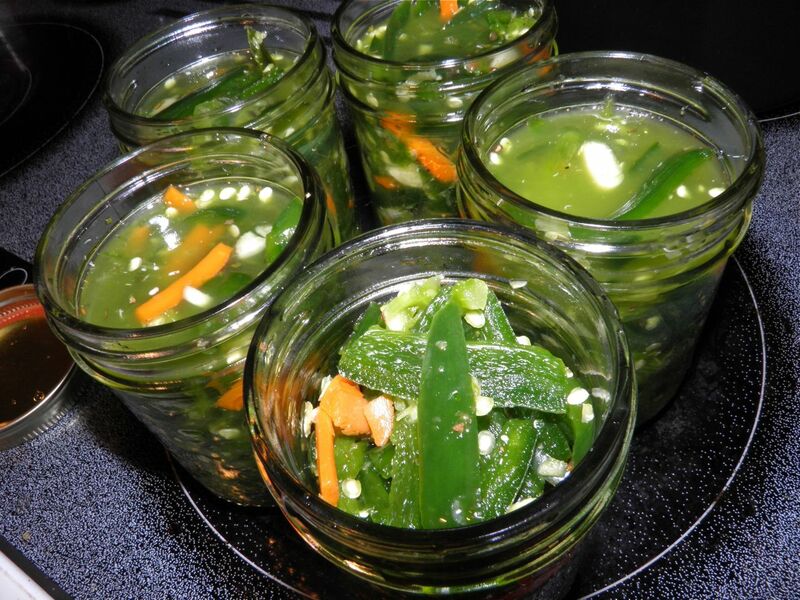 Many vegetables can be fermented in this way. One of the common ones is cabbage. Did you know that cabbage has been recorded as being fermented in China for 6,000 years? With refrigeration we have lost not only the understanding of this method, but also the health benefits. Gifts from the kitchen show care, love and thought. What would you rather receive, something someone picked up as an afterthought, or something you knew took their time and consideration? I have a few other recipes up my sleeve that will be coming before Christmas. One’s a jalapeno-lime liqueur. Try that in your margaritas. Stay tuned! the jars. The one jar in the foreground hasn't been done yet. Wash the jalapenos well to remove any surface dirt or chemical spray. 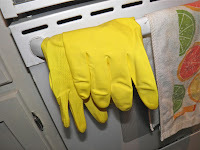 Put on clean, untreated rubber or latex gloves. Trim off the ends of the jalapenos close to the stem. Then cut in long slices with the seeds still in the peppers. Repeat until all the peppers have been sliced. Place the slices in a large bowl. Wash and cut the carrot, and chop the garlic. Add to the bowl. Sprinkle with the oregano and 2 tbsp of salt. 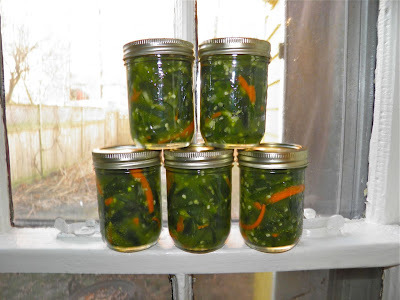 Two jars per gift, plus one for the cook's kitchen! Slowly begin to squeeze the slices of jalapeno making sure the salt is well worked into the flesh. As you proceed, you will see green liquid forming in the bottom of the bowl. Continue to massage the slices for 15 minutes. Divide the pepper slices between five sterilized 250 ml mason jars. 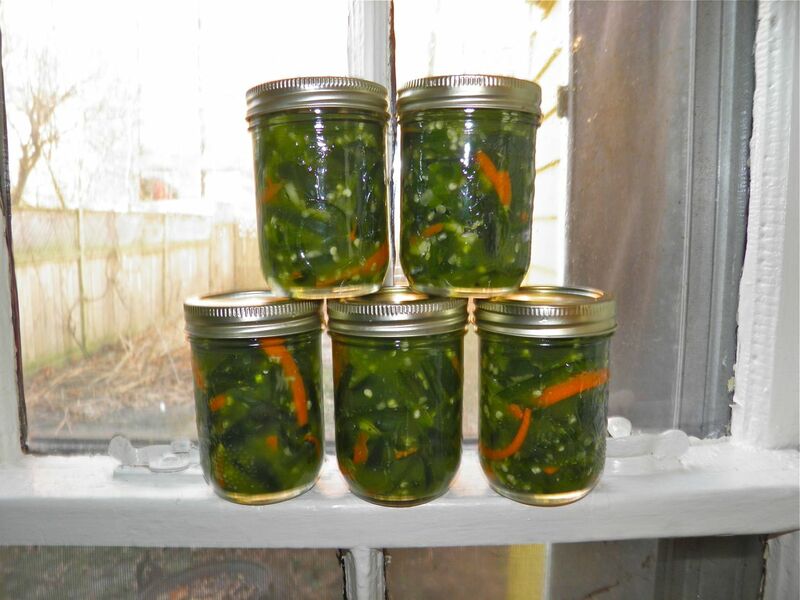 Tamp the peppers down tightly into the jars. Divide the green brine between the jars. If the liquid does not come up to cover the slices (it won't), mix the remaining salt with the water and top up the jars. The fermentation needs some time to work. The jalapenos will be ready in two weeks (minimum) but a mont will make them even better. 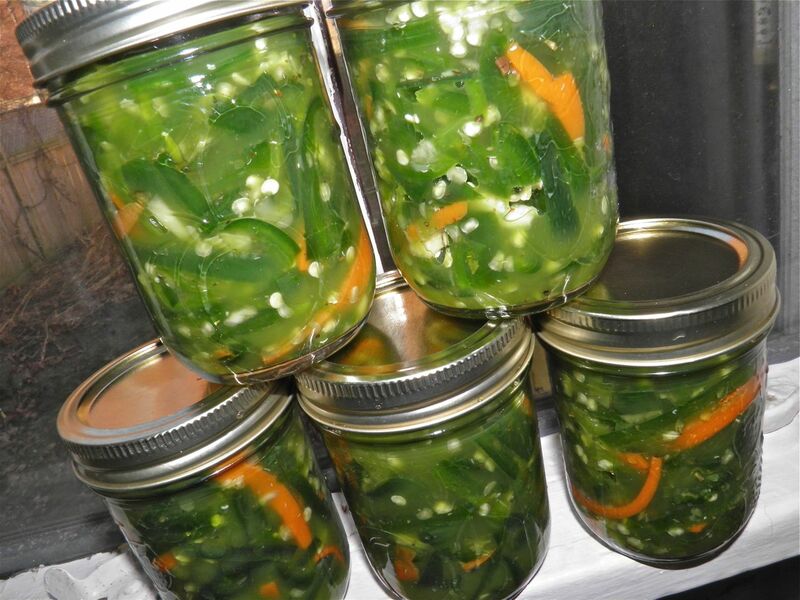 *Purchase the number of jalapenos you reasonably think it will take to fill the jars when sliced. Some jalapenos are bigger and/or heavier than others, so weight isn’t a really accurate measure when purchasing.